Unbe-leaf-able: Why I don’t back this artificial photosynthesis project, yet. Silk Leaf, an artificial leaf made from chloroplasts and proteins extracted from silk, is the latest in a series of attempts to mimic photosynthesis. Julian Melchiorri, working with a lab at Tufts University, recently unveiled a synthetic leaf, designed to help humans colonise other worlds by providing us with much needed oxygen. Yet not everything is running as smoothly as it first seems. The ability to recreate leaves sounds fantastic, so what’s the hitch? Well for a start it only pays up half of what it should, it duly takes in water and Carbon Dioxide, and uses light energy, but currently only reliably produces oxygen. There is no glucose and no one is really sure where the Carbon Dioxide goes. This doesn’t initially sound too bad for us: after all, assuming these things are inedible, we only need the oxygen. However if these leaves were ever to become part of a fully functional plant, these plants would need some kind of energy source. They would need glucose. Another obstacle lies in the physical connection of these currently isolated leaves to produce an entire plant. The xylem and phloem inside a plant’s stem, akin to the blood vessels in animals, are complex structures and at best it is naïve to think we can just stick our artificial leaves on and hope they’ll co-operate. Finally there is currently no data (as far as I can find) on the environmental cost of producing these leaves, which is clearly a key factor in whether they are viable for a trial run on earth, before they can get anywhere near space. However this project still has a lot of promise. 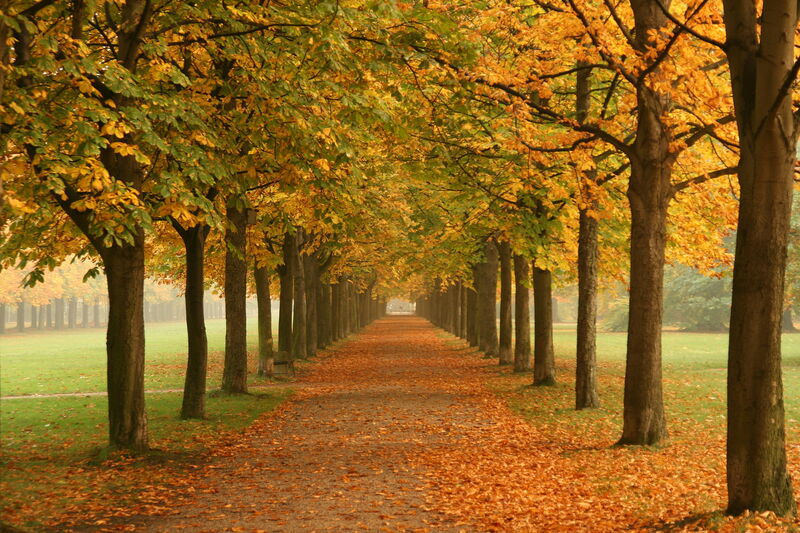 It’s a step in the right direction, and the leaves actually look like leaves, which means their surface area properties are likely to be good. Moreover the fact they look like real plant bits can only help with public acceptance of them, if we ever reach that stage. This might sound like an attempt to simply come up with something nice to say, but it really is important –GM crops, vaccines and nanotechnology are examples of areas which could do a lot more for human kind if not limited by public scepticism. Scepticism is healthy. It’s why I’m not proclaiming this project as the next big thing in science. There’s a limit though, change is scary, but sometimes it’s necessary. Scepticism without rational basis can hinder progress. Perhaps one day this leaf will help the sceptics see the light when it comes to artificial biology. RNA extractions were my main task for the week. This involved a lot of sample grinding and centrifuging, all to collect small amounts of messenger RNA. The different messenger RNAs (or mRNAs for short) present in a cell can tell us which sections of the genome are being transcribed within it. This allows us to compare the activity of particular genes between the leaves and the roots, for example. We can also use the mRNA to search for the activity of a particular gene that we’re interested in. 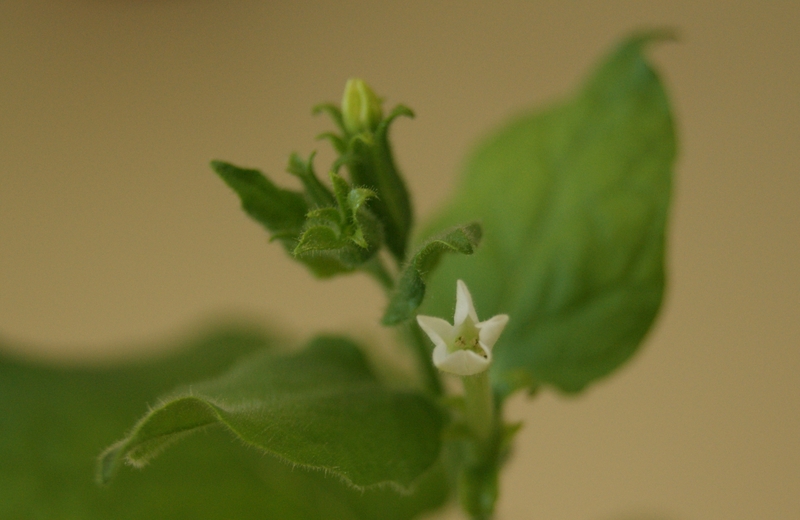 This is done by carrying out reverse transcription (a technique which uses RNA as a template to make DNA); we can make then sequence strands of DNA to see if different plants have copies of the same genes. My extractions were the first stage in this long process. 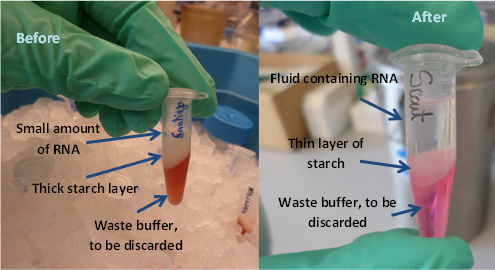 To stop the fragile mRNA degrading, most of the extraction process had to be done on ice or (more excitingly) liquid nitrogen! Though this does have its draw backs – wheat grains which have been frozen solid are rather difficult to grind to a powder. 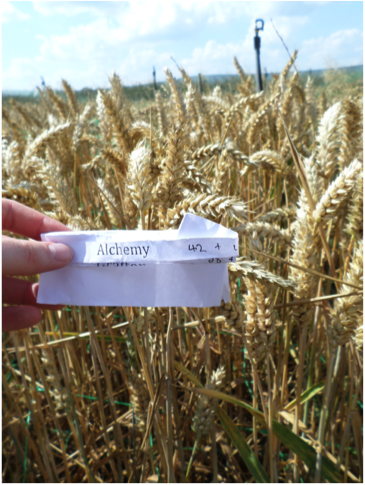 I spent several mornings grappling with persistently intact samples and trying to thwart their escape attempts (and not always successfully – many a grain evaded my grasp, making a bid for freedom which could only result in their binning). I even managed to destroy a motor while trying to grind down the stubborn grains! Monday and Tuesday were spent optimising the extraction protocol, an important yet dull and quite frustrating process. For someone who didn’t understand exactly what was going on it felt a lot like alchemy – making small adjustments here, using slightly different amounts of something else there for no obvious reason. As it is there are quite a few papers in which various scientists describe their methods for RNA extraction, though deciding which of them was most suitable for our extractions was a challenge. After a period of trial and error we settled on the protocol which gave us the best quality of RNA extracted so far. 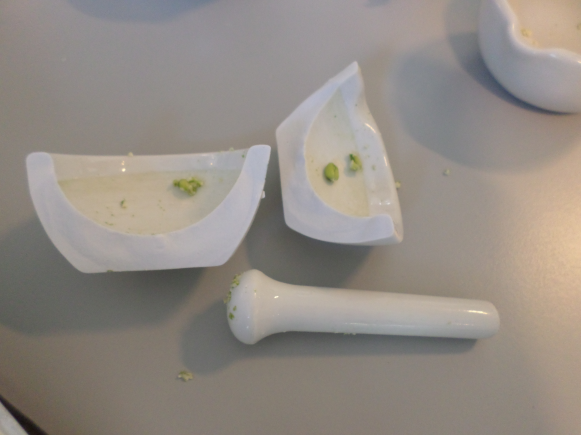 The main problem with the initial extractions was the huge amounts of starch present in the wheat grains. This meant that the quantity of RNA we extracted was miniscule, even by mircobiologist’s standards! Thankfully changing the buffer solved that problem, as the before and after pictures show. The next stage in the process is making cDNA, using the RNA just extracted as a template to create a DNA copy which can eventually be sequenced. The process itself involves more calculations and a very long wait – there is an hour’s incubation at 50oC whilst the added enzymes function. The week ended with another induction, this one a tour of the Department’s Plant Growth Facility. The PGF is a surprisingly noisy building filled with many temperature and light controlled growth chambers, where most of the experimental plants are grown. 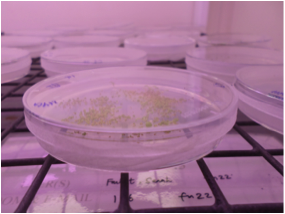 My Arabidopsis now have their own shelf in one of the chambers and are looking rather small compared to their neighbours (which are at a much later stage of growth). Over the next few weeks I will be visiting them every few days to check on their progress, but more importantly watering them – something that it’s still best not to leave to the machines, even in 2014! It’s a big universe out there, and it takes a long time to get anywhere. Even just heading to Mars would take us over 6 months. A bit further than popping down to the pub then! But if NASA and a whole host of other private groups get their way, it won’t be too long before we’re sending humans out to Mars. The logistics of the operation are still being worked out. Some argue it’s better to send astronauts on a one-way mission, setting up a bare-bones colony that will grow over time as more and more colonists make the voyage to the Red Planet. It would be handy not to carry all the fuel needed to launch a rocket off of Mars, but sending humans on a one-way trip might be a bit too much for NASA. Private groups, like Mars One, might seem more likely to support such a remarkable attempt, but it’s unclear where their funding will come from. Whether or not we send humans to stay on Mars to begin with, it can’t be denied that colonising another planet would certainly capture the imagination. But what would that really entail? It’s well and good to talk about sending humans to Mars, but how on earth are we going to survive? Enter plants, which will probably be our most prized possession on Mars, and in outer space for that matter. Even Apollo astronauts grew tired of their space-certified food, and they were only in space for a matter of days. 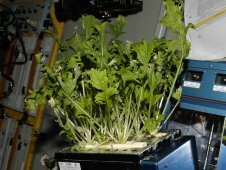 While the food has definitely improved, the sheer delight of ISS crewmembers when they were able to have a few mouthfuls of fresh Mizuna, grown on the spacecraft, suggests it still leaves much to be desired. NASA recognises that to send astronauts on long-term missions, some form of fresh food will likely be necessary. Besides the culinary and psychological benefits of fresh veg, hardly any of the food packages currently in use on the ISS would survive the length of a trip to Mars. Sending astronauts up with lettuce, tomatoes, rocket, and even courgette could provide badly needed nutrition while livening up the interior of the spacecraft. Who said interior design wasn’t important in space? 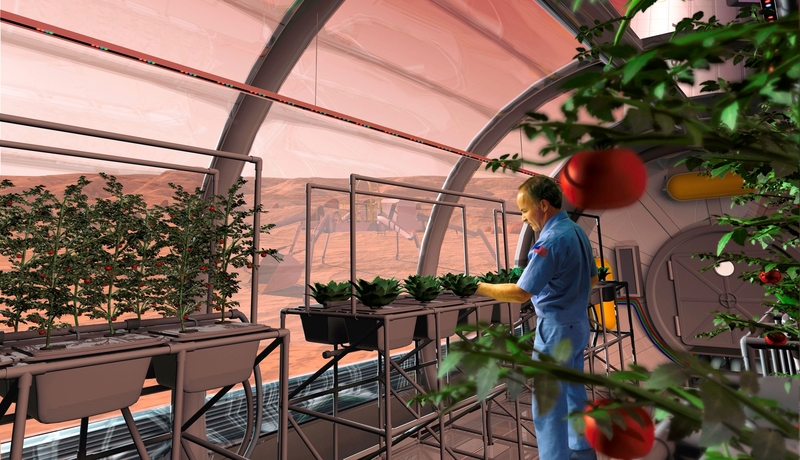 Once on Mars, one of the first structures built by the colonists would have to be a greenhouse, where vegetables can continue to be cultivated. In the long term, we would be able to grow more intensive crops such as maize and wheat, which while requiring refining to be edible would help bulk up a diet, and reduce the dependence of the colonists on food supplies from the home planet. Some researchers have even found that plants can grow perfectly well on Mars-simulant soil, in some cases even better than on Earth soil! Perhaps colonists may start gardening outside, beginning a process of terraforming that could change the face of Mars itself. It might not be called the Red Planet for long! Fuchsias are a ubiquitous garden plant. Their flowers, like pirouetting ballet dancers, are homely plants found throughout the UK. They line lawns and sit unimposingly in shrubberies, blending in with monotonous masses of leaves, until summer when they flower and bring forth bursts of spectacular spectral variance to an otherwise viridian view. However it wasn’t always this way. Fuchsias, like so many British sensibilities, aren’t even that British. Indeed, up until the 1700’s fuchsias knew not the soil of any European land. Largely Natives of the Americas, they were initially discovered by the French monk Charles Plumier(1646-1704), whose skill was such that he was appointed botanist to the king of France. Plumier first chanced upon fuchsias in 1696 on the island of Hispaniola in the Caribbean (part of the modern day Dominican Republic and Haiti), and published his description of them in 1703. The plant was introduced to England by Plumier himself, who brought its seeds back from his travels. However, as one might expect, many sources instead credit an English sailor with introducing the plant. Interestingly, the flower is not named after the colour fuchsia. Rather the colour is named after the plant, which is named after a German botanist, cementing the continental influence. The botanist was Leonhart Fuchs (1501-1566), a man noted for his detailed botanical illustrations and book on herbal medicine. The delicate flowers dance gently in the summer breeze, seemingly typical for an English country garden. 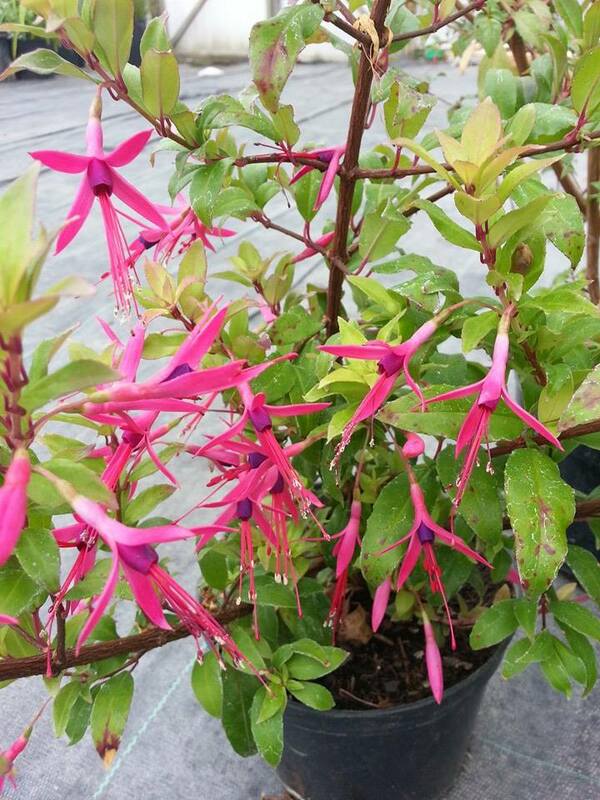 But, discovered by a French monk on a Spanish Island and named after a German botanist, it seems that fuchsias are more cosmopolitan than we give them credit for.